Signed LA Kings LAFD Commemorative Jerseys!! NHL Auctions and the Los Angeles Kings are offering autographed, one of a kind, authentic, LAFD Commemorative Jerseys. One jersey was made for each player for the LA Kings Hockey Fest on September 11, 2011 at STAPLES Center in Los Angeles, CA. With this year's Hockey Fest being held on September 11, the Kings Care Foundation hosted special fundraising activities at the event to benefit local organizations affected by the tragic events of September 11, 2001. All proceeds from the LAFD jerseys will benefit those local organizations. These jerseys include the Kings players last name and jersey numbers, as well as an LAFD patch, a 9/11 Commemorative Patch, and an Ace Bailey patch. A special tribute took place to honor former Kings scouts Ace Bailey and Mark Bavis, who were aboard United Airlines Flight 175 from Boston Logan Airport on Septmber 11, 2001. Singed jerseys from all LA Kings players including Mike Richards, Anze Kopitar and Dustin Penner!! 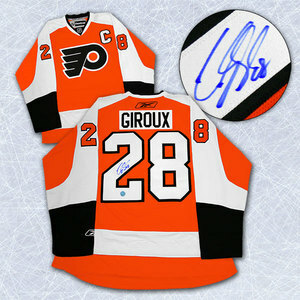 Simon Gagne's Jersey from his introductory Press Conference!! 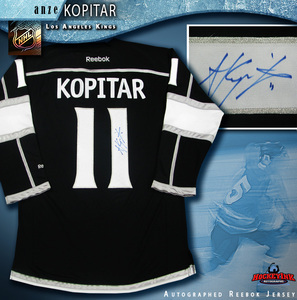 NHL Auctions and the Los Angeles Kings are offering you the chance to bid on a one of a kind item. Available now is the jersey worn by Simon Gagne while being introduced as a member of the LA Kings!! After wearing in his press conference, Simon signed the jersey and now, you have the chance to own it!! See the LA Kings vs. Colorado Avalanche in Las Vegas!! NHL Auctions and the Los Angeles Kings are offering you the chance to see the LA Kings vs. Colorado Avalanche at the MGM on October 1, 2011!! Bid now on this unique package!! Los Angeles Kings Grill Set!! NHL Auctions and the Los Angeles Kings are giving you the chance to own a Los Angeles Kings grill set!! ow your Kings pride with our newest item, the Los Angeles Kings grill set. Each set features quality grilling tools including a spatula, a grill brush, tongs, a knife, (3) kabob skewers, and (4) corn holders, displayed neatly in a durable, customized carrying case displaying the team's primary logo. 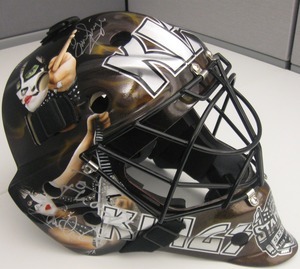 Proceeds to benefit the Kings Care Foundation, the non-profit Children's charity of the Los Angeles Kings. Proceeds benefit the Kings Care Foundation!! Los Angeles Kings Charity Auctions!! NHL Auctions and the Los Angeles Kings are giving you the chance to own three unique items!! Choose from an LA Kings Hockey Fights Cancer key chain, eye black stickers and an LA Kings grill set!! 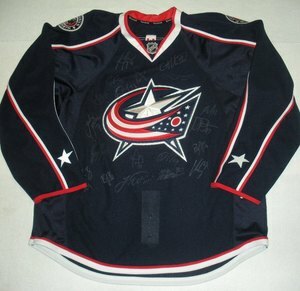 NHL Auctions and the Ottawa Senators are giving you the chance to bid on team signed jerseys!! 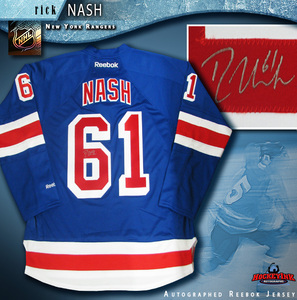 Choose from team signed jerseys from the Washington Capitals, Boston Bruins, Los Angeles Kings, Montreal Canadiens and more!! Proceeds benefit the Sens Foundation! !